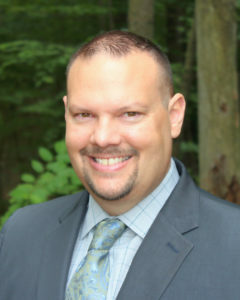 Josh Moulin has more than 14 years of information technology and cybersecurity experience and serves as a trusted advisor to U.S. federal government CIOs, CISOs, and other IT executives. Moulin provides his clients direct trusted counsel to shape organizational strategy, establish executive communications and leadership, drive innovation, maintain information security and assurance, and leverage research and resources. Previously, Moulin was the CIO/CISO for the U.S. Department of Energy, National Nuclear Security Administration, Nevada National Security Site (NNSS); a 1360 square mile highly secure area outside of Las Vegas, NV. The NNSS provides arms control, emergency response, counterterrorism, weapons testing, nuclear nonproliferation, nuclear stockpile stewardship, and special technology development among other national security significant missions. As the CIO/CISO, Josh was the recognized expert and authority on policies, procedures, guidance, and technologies impacting the agency. Josh established the direction of the information technology and cybersecurity policy and strategy to include management practices, budget priorities, and overseeing technology-related implementation. He was responsible for protecting the contractor’s corporate, United States Government, and employee and customer data from compromise by developing a security program that inhibited, detected, and responded to threats. Moulin oversaw classified and unclassified systems and networks, approximately 140 employees, and an IT/Cyber budget of over $30M. Moulin started his IT career while in law enforcement during the inception of social networking and e-commerce. Moulin realized law enforcement was ill-equipped to investigate cybercrimes and as a result, he built what eventually became a regional FBI cybercrimes task force and accredited digital forensics laboratory. As a police lieutenant, Moulin commanded the task force along with the crime analysis unit and served as the city’s IT director. Moulin successfully investigated hundreds of cybercrimes including intrusions, white-collar crime, violent crimes, and child exploitation. Moulin maintains an active Top Secret clearance, holds a Master’s Degree in Information Security and Assurance and is a graduate of several leadership development programs both from law enforcement and the federal government. Moulin has been recognized as a national expert in the field of information technology, digital forensics, and cybersecurity. He is frequently used as a technical expert by authors and has been featured in several books and has testified as an expert witness in both state and federal court on several occasions. Most important to Moulin is his family and his faith. He has been married for 18 years to his best friend and they have two beautiful daughters.